The image to the right genuinely shocked me on Saturday. Not really because of what the sign said—that is nothing new. Not particularly because it was a small child holding it, though that is deeply disturbing. Not even because the mum, presumably, was taking a photograph as if this would be a cute moment to remember at his twenty-first. No, none of these were the primary reason for my shock. 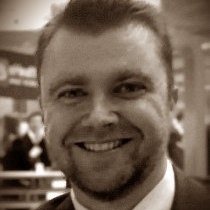 The primary reason for my shock was this photo wasn’t taken in the Middle East or even in Europe, but rather in Sydney! I believe this riot is a milestone in Australian history. It raises a number of important issues that our nation is currently facing and brings into sharp focus the kind of Australia that could be—indeed, will be—if we don’t handle these issues well. This is not a political blog, but I believe the issues raised by these events are of significant interest to believers so I wanted to comment on them here. I absolutely condemn the violence that we saw yesterday on the streets of Sydney. There is never any excuse for violent behaviour. I do not want to see in the hands of anyone, particularly children, offensive signs that call for the killing of others. This is not the Australian way” (News.com.au). NSW Premier Barry O’Farrell called it “the unacceptable face of multiculturalism” (International Business Times). These comments raise the issue of multiculturalism which has been the working philosophy in Australian society for the last two decades. Multiculturalism has become so embedded in our thinking that to merely question it has generally served as prima facie evidence of racism on the part of the questioner. But on Sunday, the two highest political leaders in the Sydney context openly criticised it. I’m not entirely sure either intended to. Nevertheless, they did. It is unclear whether O’Farrell meant that multiculturalism has a “good face” and a “bad face” and this was the bad one or whether he meant that this is what multiculturalism leads to, and it’s bad. Either way, the weaknesses of multiculturalism are apparent. PM Gillard’s comments are even stronger. She openly contrasted “the Australian way” with the violence and threats of the Sydney riots. This is an open admission that there is such a thing as “the Australian way” and that immigrants are expected to learn it and live it. That’s not very multicultural, but I suspect most Australians view it as quite sensible. 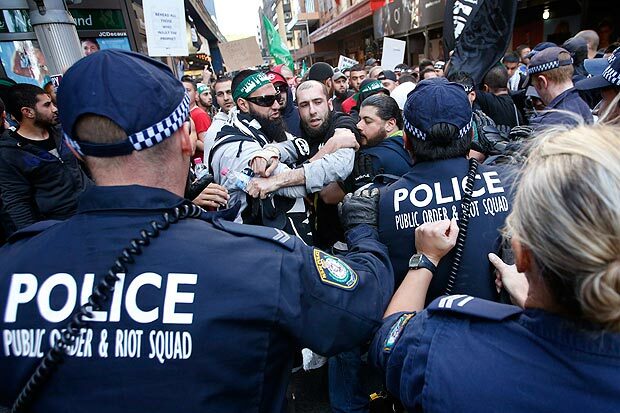 After the event, NSW Police Commissioner Andrew Scipione made it clear that the police will protect the right of any citizen to protest peacefully (Sydney Morning Herald). That is a right that must be protected in any free society so it was good to see it affirmed so emphatically in the wake of these events. Still, violence is not an acceptable way to make a point. Arrests should be and are being made (Sydney Morning Herald). There is a difference between a protest and a mob. This was the latter. Both the defenders of Innocence of Muslims and the Muslim protesters have invoked free speech in defense of their actions. Since free speech is also a crucial issue in any free society, this issue is worth considering carefully. First, the film was a legitimate expression of free speech by any standard. Having watched significant portions of it, I recognise that it would be offensive to Muslims in the same way that Christians are offended by South Park… or Evan Almighty. Or Bruce Almighty. Or The Da Vinci Code. Or The Last Temptation of Christ. Or Life of Brian. Or Michael. Or Dogma. Or Oh! God. Or Jesus Christ Superstar. Or Hail Mary. Or The Devils. Or Angels and Demons. Or Hamlet 2. Or Year One. Or Jesus is Magic. Or Religulous. Or… well, you get the idea. This is of course leaving aside the less direct slanders against Christianity in the vast majority of movies produced. But so what? It’s a free country as they say. This is “the Australian way.” I have written many pieces that argue against, criticise, and satirise other systems of belief. Our newspapers are full of such views every day. This is one of the most basic foundations of freedom. It is neither wrong nor criminal to criticise or satirise a view with which you disagree. Second, the Muslim protests are a legitimate expression of free speech. A bit precious to be sure. But basically legitimate. YouTube is to be commended for keeping the video up and Andrew Scipione is to be commended for defending the Muslim right to speak against the video. Third, free speech is not unlimited. It has never been unlimited. Threats of violence have always been viewed as a crime, not a right. Calls for violence have always been viewed as sedition, not a right. This is just and right. Nor is it a lot to require. These events hold important implications for freedom of religion in Australia. Freedom of religion is based on Christian principles of personal responsibility and the relational nature of salvation and was pioneered by nominally Christian nations. It seems to me that Islam at best tolerates religious freedom as if it were an awkward appendage to be accommodated. In more fundamentalist expressions of Islam, freedom of religion is pointedly rejected in favour of maintenance and expansion by force and intimidation (Christian Today). This raises the question of whether or not fundamentalist Islam is compatible with “the Australian way”? Is it possible to welcome those who do not believe in freedom of religion without ultimately endangering that freedom? One objection to even asking this question is that it discriminates on the basis of race and religion. As far as race is concerned, of course Islam is in no way related to race. As far as religion is concerned, this is both true and untrue. It is true in the sense that those in a particular religious group may be generalised to hold a particular position on freedom of religion. It is untrue in the sense that we already can and do discriminate based on the beliefs of certain religious groups. We scrutinise cults, we challenge the right of Jehovah’s Witnesses to withhold blood transfusions from children, we prosecute those who engage in religious use of illegal drugs, we outlaw beating children in the name of religious conviction, and we censure Muslim clerics who promote terrorism. The question is not if we will restrict some of the practices of religious people, but which practices we should and will censure. Or to put it another way, there is a line between religious freedom and evil which hides behind religious freedom. We should and do draw that line somewhere. The question is where. This raises the question of a bill of rights for Australia. Do we need one? Would requiring new citizens to subscribe to a bill of rights as a condition of citizenship clarify the values that we hold? Would such a bill be abused? Would it be used to transfer power from the people to the courts? Should we support the current push for a bill of rights in Australia? Should we seek to be involved in helping to draft it? How would this affect the current debate about human rights and the definition of marriage? This is perhaps the most important issue raised by the riots in Sydney. What is hate speech? Should we legislate “hate crimes”? First, there is the question of whether hatred should be illegal. Should it be illegal to hate anything?What about murder? Is it ok to hate murder? Yes? Ok. What about theft? Yes? Ok. So where do we draw the line? Should it be illegal to hurt someone else’s feelings? Should it be illegal to publicly criticise them? Of course we recognise that we do all of these things every day in the public square. In fact, we view these things as important to the health of our democracy. It becomes apparent, then, that any definition of “hate speech” is somewhat arbitrarily imposed based on the social conscience—perhaps I should say mood—of the day. Second, it is absolutely essential to define hate clearly and precisely. Disagreement is not hate. Let me say that again. Disagreement is not hate. It’s not. For instance, I believe homosexual activity is sin. Clearly, I disagree with a large proportion of Australians on this issue. But I have plenty of friends who practice homosexuality. I’m confident that each of them would testify that I do not hate them. On the contrary, I care about them. A definition of hate that confuses disagreement with hatred is nonsensical. Such slovenly thinking is intellectually infantile, logically incoherent, and ethically disingenuous. Therefore, it cannot be inherently hateful to make a satiric film that tells the story of Muhammad in such a way as to highlight the foolishness and inconsistency of the religion he founded. Nor is it hate to disagree with the point of that film or to protest it. Finally, it is not hate to reject Islam as a false religion. Which it is. I tweeted these words on Friday (the day before the riots): “There is one God and Jesus is his son. Muhammad, like his father the devil, is a liar. God’s true children joyfully die for this confession.” This is not hate. It is disagreement. And it is part of “the Australian way” to be able to voice that disagreement in the public square. 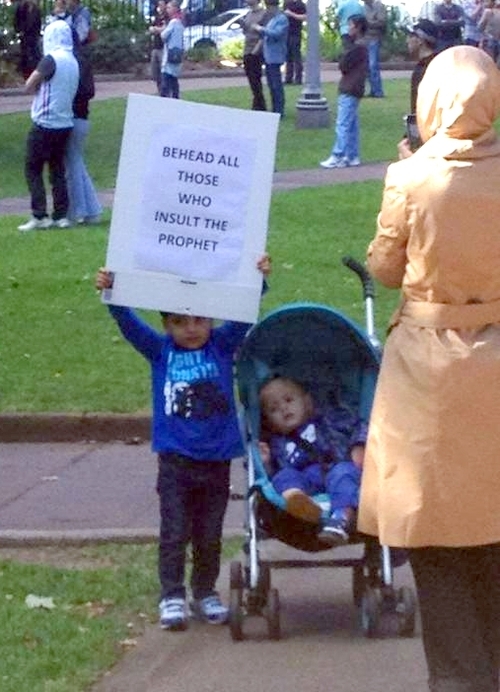 That’s why the Muslims had a right to protest in Hyde Park. That’s why I have a right to critique them here. The greatest danger in these events for the believer is to get caught up in it all and to be sidetracked from our joy in God. Our governors should take stock and make adjustments where needed. We should think these issues through and meet our civil obligations knowledgeably. These issues are important for our nation’s future. But our hope is not in political change, our enemy is not in Muslim people, our joy is not in ideological victory, and our power is not in argument. We strive to live quiet and peaceable lives finding joy in God, salvation in Jesus Christ, and comfort in the Holy Spirit. We preach Christ, and him crucified. Not grudgingly. Not angrily. Not spitefully. We preach Christ joyfully. We preach him because he is precious to us. We preach him because we can’t not preach him. And we preach him because he is the hope of the world. Great article. We need to speak up more about these issues as they are where our faith intersects with reality. 1. Multiculturalism is built on the notion that all ideas of equal value. All ideas are not equal, and I will be blogging about this later this week. 2. Regarding a bill of rights. I am not in favour of such as bill as I believe it will be drafted by a society that no longer values what God values. I believe it will be used to restrict free speech (particularly Christian speech) rather than promote freedom of religious ideas. 3. I personally believe we are seeing the ‘falling away’ that precedes the return of our Lord Jesus Christ. I am not making a prophecy about a specific event, but rather noting the season and continuing to look up. While we should engage and seek to restore Christian morals to our society, ultimately, our hope must lies in eternity and redemption through Jesus. Having lived in a suburb right in the heart of the Muslim community in Sydney, I have great sympathy for those honest, hard-working, clean-living, family-minded Muslims who are going to (once again) be subject to awful bigotry because of the way these idiots carried on in the city. It’s a bit like when a ‘Christian’ conservative nutcase says something stupid and then gets painted by the media as representative of all Christians/conservatives. As you rightly pointed out, we Christians have had to deal with people mock our beliefs and our God (Jesus) mercilessly for years, but we accept that as part of a free society and we don’t go around calling for people’s heads to be cut off for doing that. Vengeance belongs to God and He will deal with those who ridicule what we hold dear – read II Thessalonians chapter! That noisy minority within Islam needs to understand the price of being allowed to believe, proclaim and practice what they do, it is the right of others to voice their opinions about those beliefs and practices. Serious action needs to be taken against the perpetrators of “hate speech” and violence. I’ve seen the offensive video – and it’s pretty pathetic, but highly offensive to Muslims. As a Christian, I deplore those who made it – what a truly wicked thing to do. Just as I deplore the actions of those who made the long list of anti-Jesus films you listed. @Jeremy, Thanks for your comments. Will look forward to your comments on multiculturalism. @PJ, That’s a really important point. It’s so easy to broad brush in ways that breed prejudice and contempt. May God draw us and them to himself through these events. @PJ I agree, it is sad how the media always portrays the minority as the minority. And the video is disgusting. It is rubbish designed to offend. I believe it has the right to be made and presented for those interested, but people’s response to it should be the same as what WOULD have been the proper response to south park. Ignore the idiots. Not ignoring, but instead protesting, gives power to the pornographer who made the film (yes, he was an ACTUAL pornographer before making it) and gives power to the extremists in both Islamic and Christian culture. I would like to think that violent muslims are in the minority. I really would. “The Muslim men and women (and yes, there are plenty of women) who support—whether actively or passively—the idea that blasphemers deserve to suffer punishment are not a fringe group. “On the contrary, they represent the mainstream of contemporary Islam. “Of course, there are many Muslims and ex-Muslims, in Libya, Egypt, and elsewhere, who unambiguously condemn not only the murders and riots, as well as the idea that dissenters from this mainstream should be punished. You Sow Hatred, your gonna get hatred back in full force, You sow love, you will reap love, I Don’t condone what they did on saturday, but nor do i condone the way australian citizens have reacted with such hatred and ferocity. If you love those who love you, what credit is that to you? Even sinners love those who love them. 33 And if you do good to those who are good to you, what credit is that to you? Even sinners do that. 34 And if you lend to those from whom you expect repayment, what credit is that to you? Even sinners lend to sinners, expecting to be repaid in full. 35 But love your enemies, do good to them, and lend to them without expecting to get anything back. Then your reward will be great, and you will be children of the Most High, because he is kind to the ungrateful and wicked. 36 Be merciful, just as your Father is merciful. Jesus loved his enemies and they crucified him. Yes we should love our enemies, but their reaction is not necessarily an assessment of our lack of love. ISLAM means PEACE…instead of wearers blazoned 6th Pillars they should have PEACE written on their chest…this is a message we all understand. Instead of children holding placards with BEHEADING mantra’s they should have held placards OUR FATHERS LOVE THEIR CHILDREN TOO. these would have been positive messages and validated the freedom of protesting in a FREE SPEECH society. Religion is a dangerous protangonist, it is not a HERO. God will hang his head in shame for this. Muslims damage their right to express their opinion. ISLAM the word meaning PEACE looses it’s validity.MUSLIMS WILL DOMINATE THE WORLD> is the same cry HILTER USED though he substituted MUSLIMS FOR GERMANY…look where that led. The point being there have been movements like this before in our history and the Western World COPED. Shame of it all is that MULTICULTURISM only works when there are simularities between cultures, but where religious ideology is the master there is no room for MULTICULTRALISM. AUSTRALIANS have been sucker-punched by FLEEING religious bigots wanting to find a quick and cheap entry into a tolerant welfare nation that gives money for those that cannot support themselves. ISLAM demonstrates it cannot tolerate PEACE until it CONTROLS the nation it lives in. And PEACE in Muslim Law comes at a hefty price…including BEHEADIINGS, IMPRISONMENT & TORTURE, MURDER IN HONOUR KILLINGS, WOMEN SHUNNED,CHILDREN INDOCTRINATED, PUBLIC HUMILIATION & WHIPPINGS…this is the world of PEACE. This is ISLAM. It’s good to have reminded us about the call to love our enemies. Thank you. I am wondering how this looks like practically for us, at a time when speaking the truth in love could bring physical persecution. As Christians, if we were to go out and witness to these people in love, what you do imagine will occur? 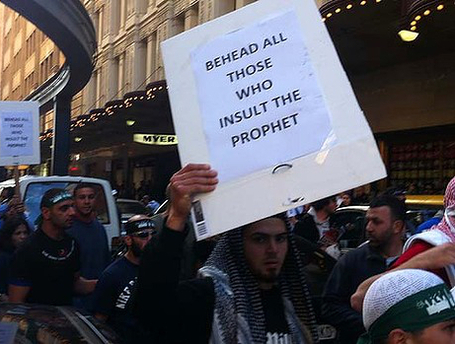 I often see Muslims evangelising in Bourke St with posters claiming that Jesus is a Prophet and Teacher. I’ve also seen guys from IB churches with banners calling sinners to repentance. We’re getting to a stage where proclaiming the truth in love is costing us greatly. Many Christians I know think it crazy to stand on street corners proclaiming the Gospel. But I feel personally that we’re almost at a point where we need to be outspoken, and suffer rightly for it. But something within tells me that not many believers will count the cost in doing so. Tell me, how do I best love my Muslim neighbour at a time such as this? We will be jailed for speaking out against heresy, homosexuality, abortion, etc. All in the name of “human rights”. If I may, we have no rights. Re the bill of rights: If rights are granted by a government then they can be taken away by a government. The US constitution declares rights as inalienable. That is can’t be taken away by human government. persecution is part of Christian faith, they persecuted Jesus first and Christians are persecuted worldwide for there faith, voice of the martyrs makes that plain enough. even muslim converts get persecuted for abandoning islam. 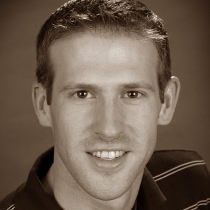 Overall a well written thought-out article, good work Jason. How many of those on the street causing trouble are actually in receipt of good Australian Christian charity. Stop their welfare and force them to get employment. Like those of us who just pay and pay. Do we expect good from Islam? What will it take for Australians and for that matter, Christians, to realise that Islam is a threat to all? Islam is an enemy and we are at war, whether we like it or not since Islam has already declared war against non-Muslims from the beginning. Christians are also at war with Satan and his devices. Christians, let us fight the good fight of faith, and pull souls out of the religion of Satan to Christ the Lord.